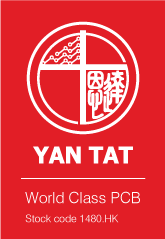 Yan Tat Group operated since 1989. Principally engaged in the production of quality PCBs, which are widely used in a variety of electronic products covering sectors including communication, automobile, industrial automation, consumer electronics and medical. © 2018 yantat.com All rights reserved.